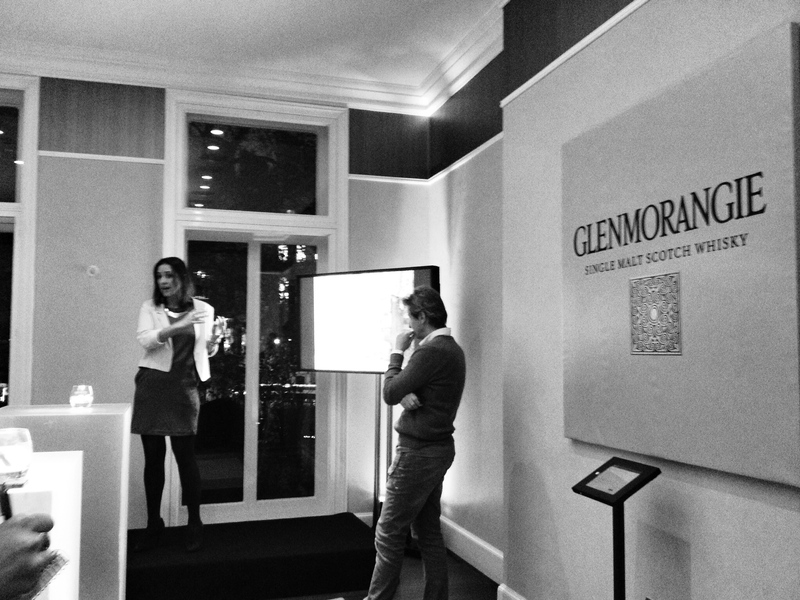 The Glenmorangie Cask Masters is an innovative concept whereby the consumer becomes fully immersed in the creation of a brand new whisky. So far individuals have voted for their favourite cask of three – with Manzanilla beating off competition from Grand Cru Burgundy and Grand Cru Bordeaux, and the name – with Taghta (Gaelic for chosen) being favoured from a short list of three. Future stages in the design process will see enthusiasts chose elements of the photography and even the launch city! Tonight though was all about the packaging, which is why I found myself at Moët Hennessys’ offices in London on an early December evening. We were greeted and treated to a Glenmorangie Zest on arrival; a signature cocktail made with Glenmornangie 10 Year Old. It was a lovely start to the evening, and a cocktail I feel fairly confident about recreating at home. It was fresh and really highlighted the spirit at the heart of it. Boutique design agency Butterflycannon have produced the packaging, and we were led through the journey and process they have followed by the very engaging founder of the agency – Jon Davis. Jon took the time to talk us through the steps he went through in creating the three concepts that are now up for the public vote. It was fascinating to see the detail and the little touches that may be otherwise missed if you just picked the bottle up off the shelf, and at the wider level what influenced the design. I had a lovely chat with him over some cocktails later and it was great to see that the images and photos that the public have uploaded as an element of this phase have really led and influenced the final designs – Butterflycannon have been guided by what you have submitted and the end results are very classy and well I have my favourite but I’m not going to influence you here. 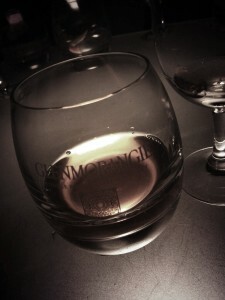 It was then time to try the whisky. This is the first time I have tried the chosen cask – Cask C, and I was pleased to discover that it was a fine spirit. On the nose it is peppery and rich, much like a sumptuous Christmas Cake with a touch of treacle toffee on top. The palate was spicy and peppery with a hint of tarragon before it became sweet and hot. And the finish was long and hot. With hindsight too you can appreciate how the whisky itself has influenced the final packaging design; there are elements of the flavour and colour that I can see drawn out in the cartons. The fun didn’t stop there; Callooh Calley – the ninth best cocktail bar in the world no less – were on hand to create two fabulous, and dare I say off the wall cocktails, with the Manzanilla whisky. It was explained that the key to creating amazing cocktails is to understand the base spirit and its flavour, and then use a maximum of 4-5 ingredients to show it off. One ingredient should nail the flavour of the base spirit then the others should be treated as mere modifiers. First up was an aperitif that used 50ml of Glenmorangie Manzanilla, 50ml homemade toasted pineapple shrub with thyme, 20ml sherried vinegar, 20ml sweetener and 15ml Cynar. The result was superb. The whisky came through strongly, the pineapple notes were immense and there was a delightful pepper prick right at the back of the mouth on the finish. If I’m truly honest I was a little apprehensive about the second cocktail as it was based around bananas which I detest. This time we were given a digestif made up of 50ml Glenmorangie Manzanilla, homemade smoked bananas and honey milk, and 30ml aromatised wine. On first nosing it smelt like smoked milk and as Serena said was almost Ardbeg like which was surprising. While I preferred the first cocktail I would certainly have this one again, it was creamy, smoky and not too bananary, and it still allowed the spiciness of the spirit to come through. All that remains for this stage of the adventure then, is for you (and me) to go online and vote for our favourite packaging design in the hope that the one we select wins the vote! They all look good, but I’ll be particularly happy if my preference comes out top! As if you needed any further incentive to vote; but it may be of interest to know that one of the voters will receive a brand new Apple iMac. The chosen packaging will be revealed on 7 January, with voting closing on 6 January 2014. Thanks to Moët Hennessy for inviting me, and I look forward to the next stage of the journey before the product is launched in autumn 2014. It was also great to meet some familiar whisky faces and some new ones. Also, as a side note, keep an eye out on the blog as we’ll soon be reviewing the two casks that didn’t make it this time – the Burgundy and Bordeaux.